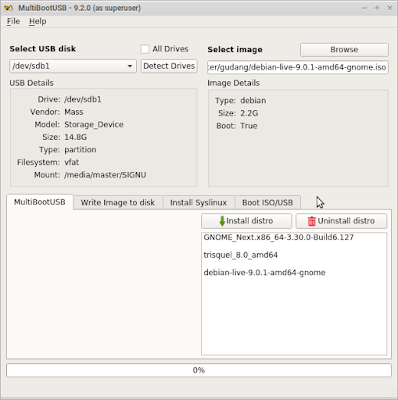 I've written about MultiSystem in 2015 and now in 2018 I meet MultiBootUSB, another free software alternative to make multiple OS bootable USB. 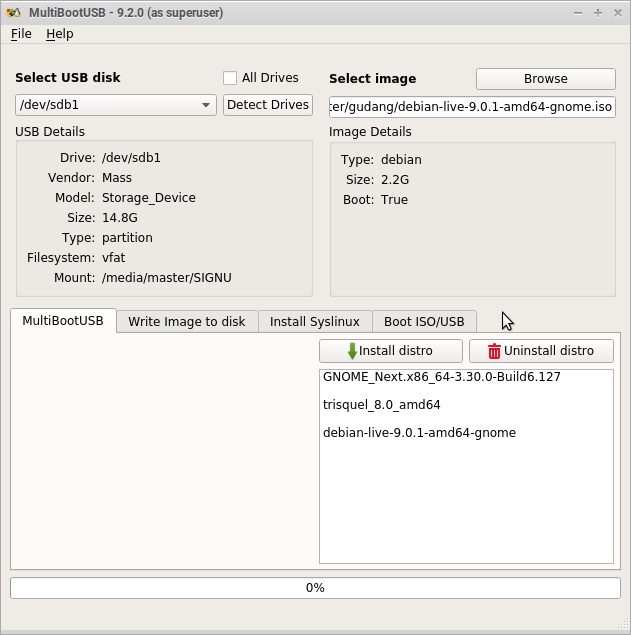 Same as MultiSystem, with MultiBootUSB you can burn multiple operating systems in one USB drive. It is smaller, licensed under GNU GPLv2+, the source code is hosted at GitHub and SourceForge. Enjoy! Insert a blank USB flash drive and read it on file manager. 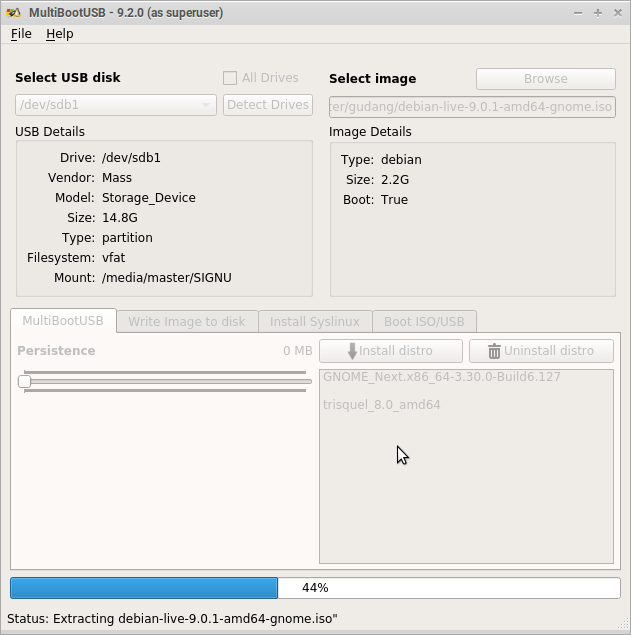 Select the partition of the USB device. For example /dev/sdb1. Select the ISO image file. For example trisquel-8.0-amd64.iso. Make sure you're on the 'Multiboot' tab. Let MultiBootUSB does the job. Once finished, it says "...successfully installed". Reboot and boot into the USB drive. It should gives you options of your multiple operating system. Select the OS by pressing up/down, and boot it by pressing Enter. If your booting failed anyway, then restart, and choose 'boot with GRUB instead', and finally choose the OS.